Dr. Oscar F. Cervantes is a bicultural, bilingual (English/Spanish) clinical psychologist with a Masters in Sciences in Clinical Counseling and a Ph.D. in Clinical Psychology with over 31 years of academic and clinical experience. He has privileges in some of the most prestigious hospitals in the Bay Area. Dr. Cervantes specializes in cross-cultural psychology, mood and anxiety disorders, cognitive behavioral therapy, and behavioral medicine. In addition to his private practice, he is an Assistant Clinical Professor at the University of California, San Francisco Medical School Department of Internal Medicine. His background is extensive and includes: child, adult and family psychotherapy at a number of agencies, several university student health and counseling services, the California Youth Authority; faculty at several state and private universities' graduate departments of psychology, schools of medicine, and Chicano studies departments; research coordinator for the UCSF Medical School Latino Task Force; addiction rehabilitation specialist and Director of Multicultural Affairs at a California university. 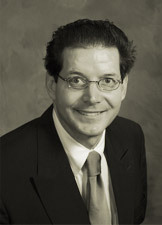 Dr. Cervantes has provided over 26 professional consultations to several agencies. He has authored over 40 publications and presented at more than 60 national and international conferences and more than 23 seminars on a variety of multi-cultural issues. He has made over 200 appearances on national and international television and over 40 national and international radio talk shows. He has founded and held director and executive roles in multiple statewide Latino organizations, such as the Hispanic Professional Round Table. In addition to his private practice, he is an Assistant Clinical Professor at the University of California, San Francisco (UCSF) Medical School Department of Internal Medicine. To download a copy of the complete professional biography for Oscar F. Cervantes, Ph.D. please select the following link: Oscar F. Cervantes Ph.D.